I was delighted to be asked to join such a talented group of ladies in the Autumn Blog Hop. I love decorating, and Fall decorating is one of my favorite times of the year. Though I have not decorated for the season yet, I have a lot of Fall faves to share with each and every one of you. 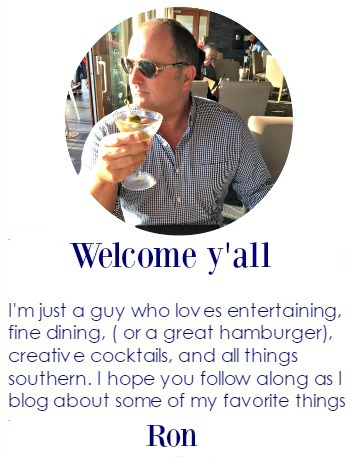 I hope you will follow along. I have lots of photos, so grab your cup of coffee or tea and spend the day with me. I loved the Fall season while living in Atlanta. 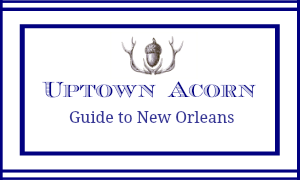 Living here in New Orleans, the season of Fall and the changes it brings are not as drastic. I will share both my Atlanta and New Orleans Fall faves today. 1. Pumpkins, acorns, and feathers. I love using natural objects to bring the outside in. 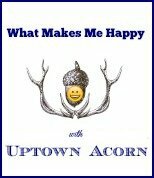 What would the Uptown Acorn be without the acorn? Right? Natural sheds bring the rustic, natural touch to my spaces. I love using my antler-handled silverware for dinner. Since Fall is one of my favorite seasons, I love to throw an Open House or Supper Club for close friends. My “It’s Fall y’all” soirees have always been a hit. I like using pumpkins and gourds as bases for fresh arrangements. At this time of year, I enjoy using my Vagabond House serveware. While living in Atlanta, I collected or was gifted many pieces from my favorite shoppes, Boxwoods & B.D. Jeffries. I love to create arrangements, so it is no secret that Fall is one of my favorite times to construct wreaths and tablescapes. The colors of Fall blend into any decor. 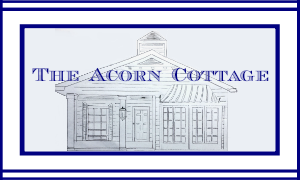 Check out more of my custom botanicals at The Acorn at Wisteria Hill. I leave you with even more Fall pics from my vast collection of Fall accessories. I hope you have enjoyed my Autumnal photos. 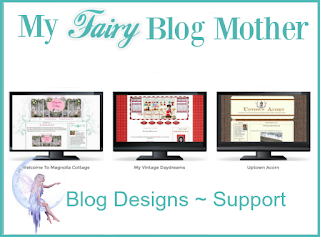 I hope you will check out the others participating in the Autumn Blog Hop. Thanks Paige for the invitation. Fabulous post, Ron! What a gorgeous collection of eye candy... Have a great weekend! Oh Ron so much beautiful inspiration. Beyond gorgeous all of your pictures. Thank you for sharing such pretties. Hope you are feeling better. Have a wonderful week end. Ron, your style is fabulous! I love all the natural elements and how classy it all looks. I hope you are feeling better and will get your Fall Ya'll on soon. Ron you've done an amazing job and I'm madly in love with your style. Your floral arrangements are beautiful. Absolutely stunning! I wish I had one ounce of your decorating abilities! Ron, Everything is beautiful! I am also a fan of bone handle serveware and you have some wonderful pieces. You know how much I love your style Ron...everything looked STUNNING! I could Pin every single picture (but I don't want to appear to be a stalker, LOL) AMAZING!!! You are so talented my friend. 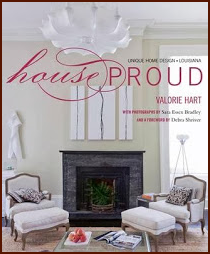 Your work belongs in a magnificent coffee table book. That way I could stare at it for hours, you know, without appearing to be said stalker! Anytime you are in Atlanta, feel free to come "fluff' my home. Wonderful Fall Decor...from the beautiful porch to the foods of Fall...gorgeous vignettes as always! Wow, you have so many beautiful things! Love your style Ron!